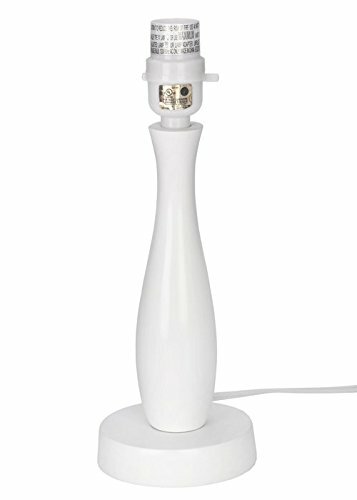 Dedicated to E26 lamp holder converter detachable lamp Harp,Bulb Socket tall 2 inches, Bulb Socket equipped with harp,total tall is 8inch+2inch, so use for lampshade tall exceeding 10inch. Chrome finish spider fitting. 1/2 drop. Includes a 7 high harp. 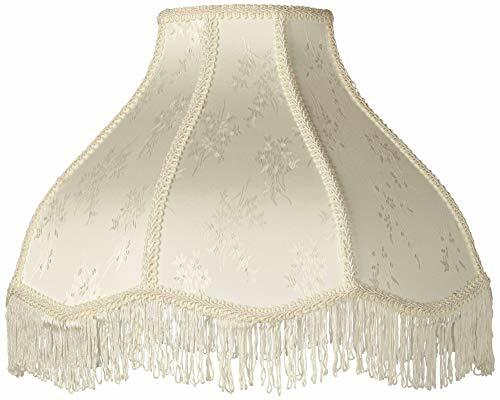 REMIND:This is a Spider lampshade. Please confirm that your lamp holder has a harp before buying. If not, you need to purchase additional harp to use. COLOR:The color is natural, leaving your bedroom and living room decorated with natural comfort. HAND CRAFTED:Every shade-making worker has more than a decade of hand-crafted experience. THE WARRANTY: All Tootoo Star lighting shades have 1-year warranty. If for any reason you are not satisfied with your purchase, please contact us. Our industry-leading commitment to you will make things right! 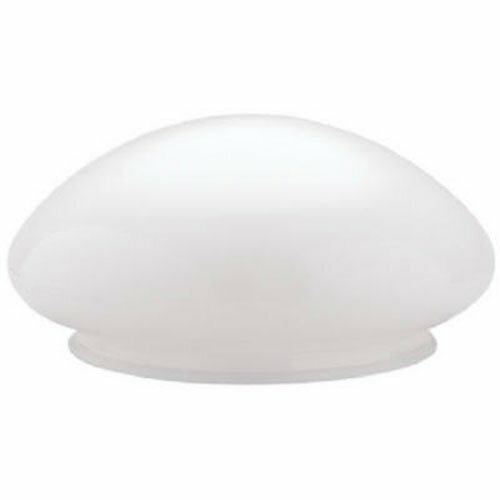 This handblown white mushroom shade provides a simple, low profile interior lighting accent. Offering a charming complement to any decor style, the mushroom-shaped white glass allows for soft, broad light. Use this versatile shade in hallways, bedrooms, kitchens, bathrooms, and other interior areas. The handcrafted nature of glassware produces subtle variations from piece to piece, adding to each one's distinctive quality. There may be minor differences in design or sizing. 6" fitter, 7.5" diameter. 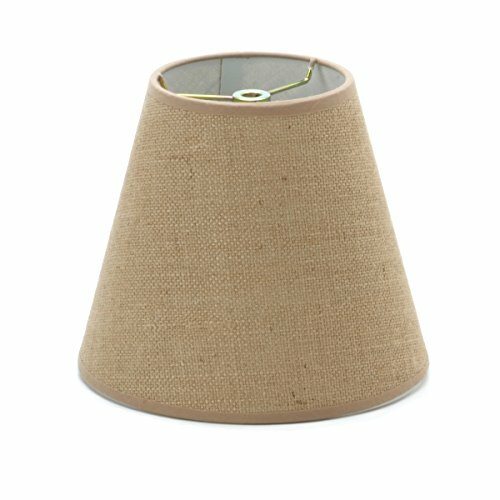 Perfect for a centerpiece lamp project, this burlap lamp shade can also be added to an existing lamp for a new look. The shade measures 4.5 inches wide at the top, 8 inches wide at the bottom, and 7 inches tall. 1 piece per package. 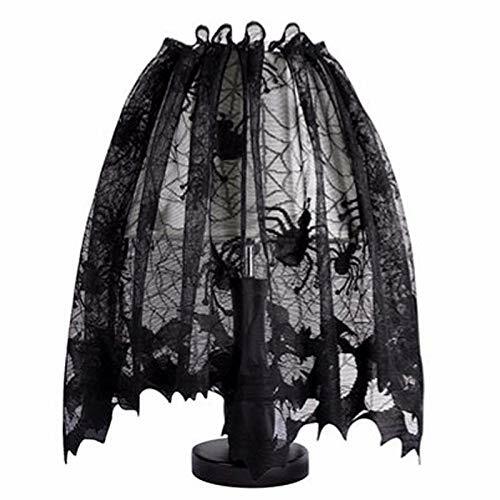 Perfect Halloween Decoration: Spider and bat is printed on cobweb lamp shade, with a silk ribbon, it added a Halloween feel without being too scary looking, add a cool ambiance. 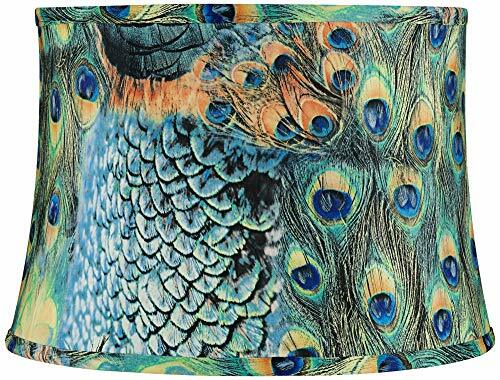 Softback drum lamp shade with colorful peacock feather pattern from the Springcrest Collection brand of shades. Cotton poly blend fabric. Self trim top and bottom. White fabric liner inside. surface treatment: Ater weld, the lampshade need to change the tin color into black with chemical. Tiffanyhouse is a manufacturer of tiffany lamp, we can accept specially inquire about size, color or other change, if any question , please contact with us. 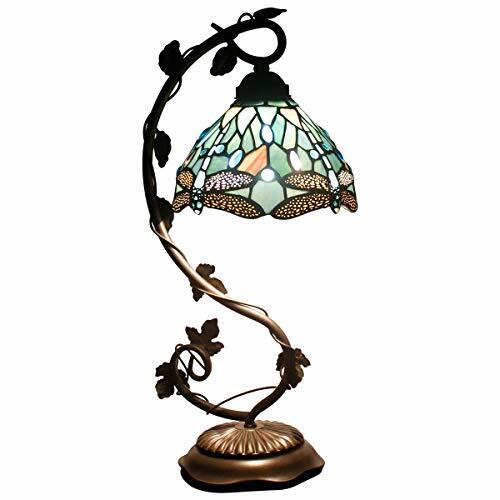 Tiffany Lamps are beautiful handcrafted lamps that will certainly add elegancy and creativity to your home. These lamps are inspired from the Art Nouveau design, making each one a unique and stunning centrepiece to place in your living room, bedroom or office. Our Tiffany Lamps are known for their vibrant designs that add character to your home. These lamps are a perfect way to bring light into a dark room, but at the same time they are a bespoke showpiece that will certainly be admired by your guests. Our Tiffany Lamps are available in a wide range of designs and colours to suit your taste. Each lamp has a delicate stained glass design and will without doubt look mesmerising in your living room, bedroom or office. Our lamps are packed in a box with specialised polyfoam that is cut out in the shape of the lamp to ensure it arrives to you safely and in impeccable condition. This solid table lamp base makes a great addition to your kids bedroom with its simple, understated design. Available in 2 basic colors, this lamp base will add a stylish touch to your room. 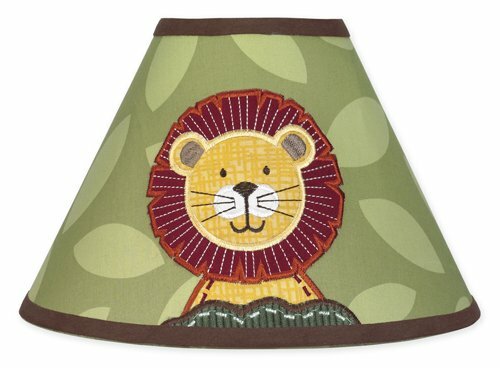 Add the finishing touch to any room with this charming Northwoods Lamp Shade by Trend Lab. 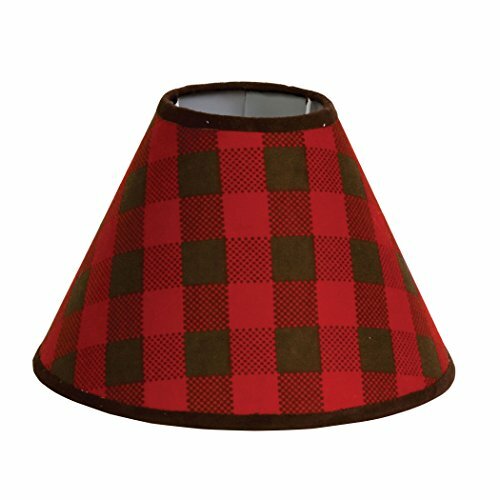 Lamp shade features a pinecone brown and deep red check print and is finished with a brown trim. Shade is Uno Style so no harp is needed as the wire fitting is permanently attached to the shade. 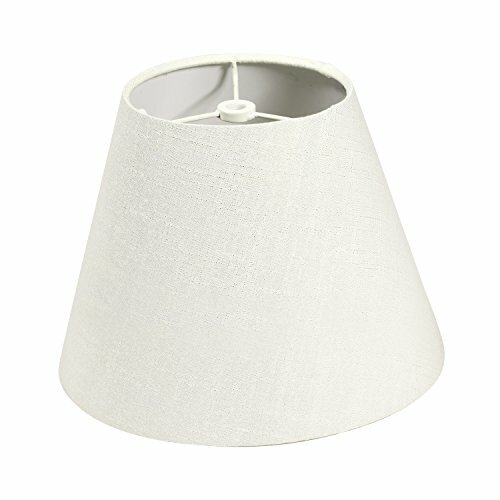 This shade attaches directly to the lamp socket. 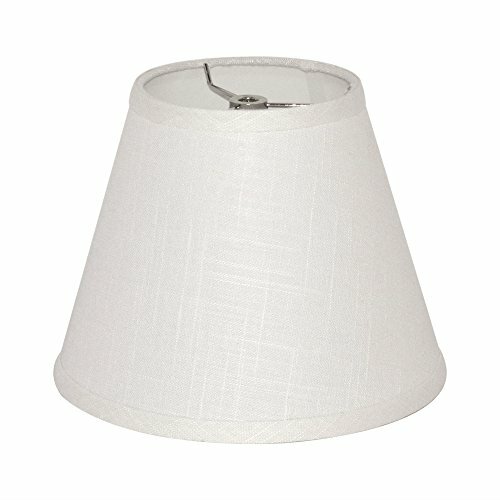 Lamp shade measurements: 4" diameter top, 10" diameter bottom, 7" height. Lamp shade only. 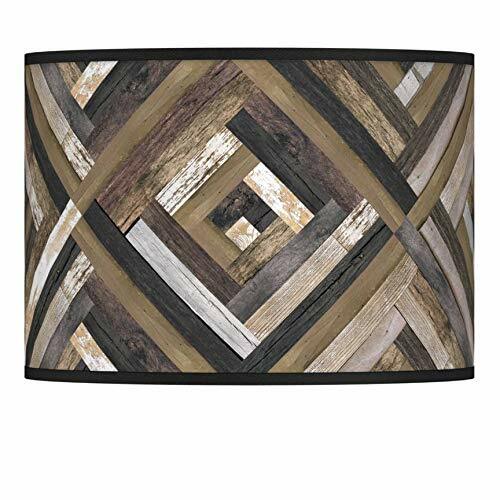 This lamp shade coordinates with the Northwoods collection by Trend Lab. Polyester fabric with creme floral bouquet pattern, braid trim on edges; fringed, scallop bottom. 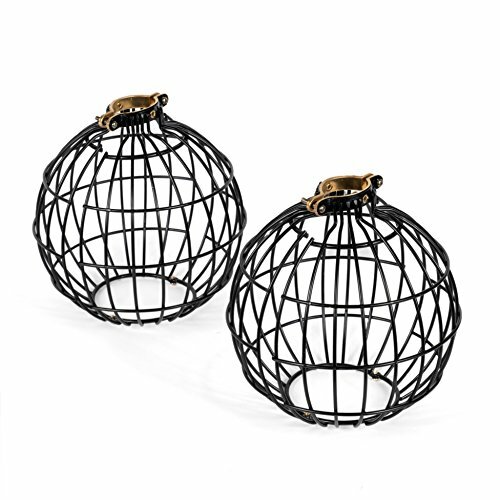 The vintage and modern black finish pendant light cages are built with perfection for any home decoration. 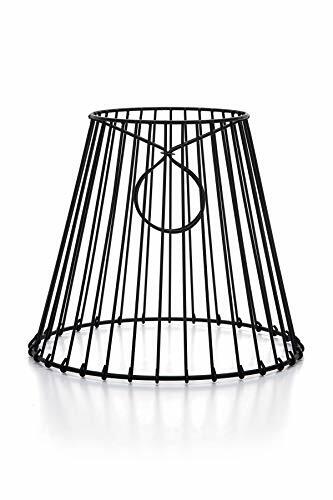 Elegant Gift Idea: The black pendant light cages make the perfect gift for a crafty or hobbyist friend. 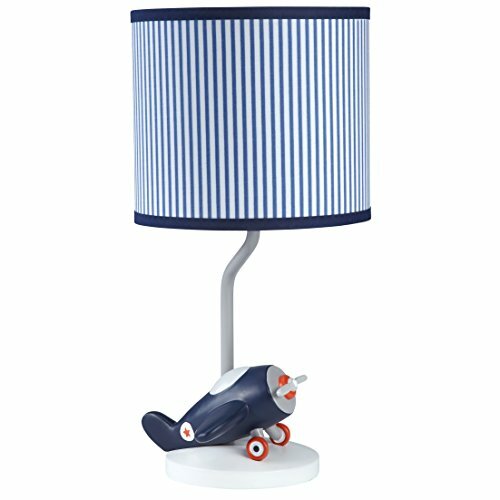 Product Measurements: Diameter: 7" Height: 7.5" Top Opening Diameter : 1.5"
Airplane base with blue & white pinstripe print shade. Resin Lamp Base and Fabric Printed Shade. UL Listed and includes an energy saving light bulb. STANDARD WASHER FITTER: Often called a spider fitter, the shade will sit on top your lamp harp and is secured by a finial or cap. Home Concept shades include heavy duty brass frames and fitters for long-lasting quality. ONLY THE BEST: Home Concept shades only use the finest materials, from fabrics to parchments to the reinforced, heavy-duty brass frames. We want your shades to last. PROFESSIONAL DESIGNER QUALITY: DELUXE hardback lampshade, found in better lighting showrooms. Durable Hotel quality shade. MAKE SURE TO MEASURE: For best fit, measure you existing shade before purchase. The third dimension in the slant height of the whole shade, not the distance from bottom to fitter. 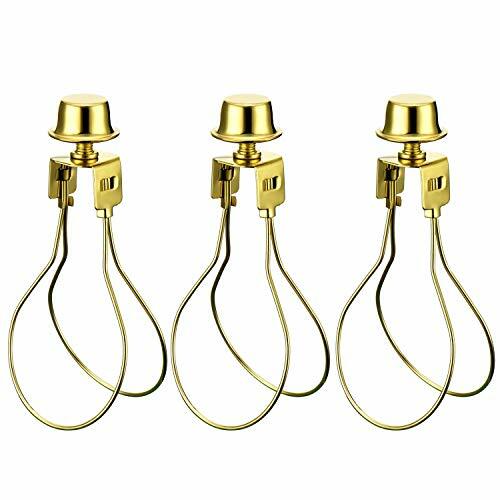 Lamp shade adapter includes bulb clip and brass finial, easy to use without a lamp harp. Very nice and well made, it has a nice retro lighting effects to your room. Glass mixed bubbles give the shade a better-looking and bring good feeling. Well-packed and easy to install based on simplicity design. Simple but durable. High quantity and good servcie. If you find quality problems, please contact us for replacement. Compatible with multifarious wall lamp, sconces, pendant, ceiling light or hanging light fixtures, to achieve the best overall old-world look. The bulb or light fixture is not included and please prepare one separately. 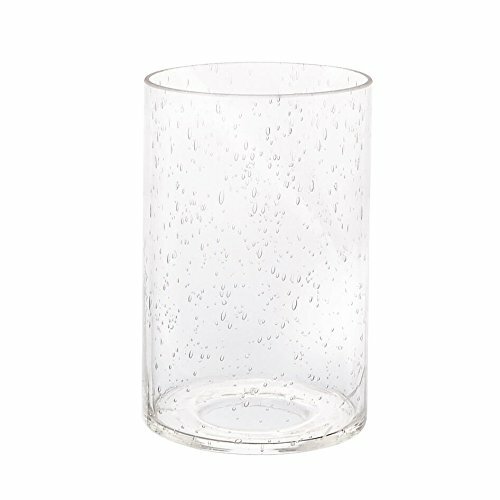 QUALITY MATERIAL: High transmittance clear seeded glass with 1-5/8-Inch Fitter. It showcases the bulb beautifully and creates a truly unique look by adding a vintage edison bulb. HIGH QUALITY & GOOD SERVICE: FBA products. Delivery is handled by Amazon. Short delivery time after place order. We provide free replacement for any defects. Mid-Century Shallow Drum style shades were often accessorized with white translucent acrylic diffusers top mounted for table and floor shades and both top and bottom mounted for hanging fixtures. Not only do these diffusers improve quality of the light, especially when using energy efficient compact fluorescent or halogen light bulbs, they also add a finished look to many table lamps. 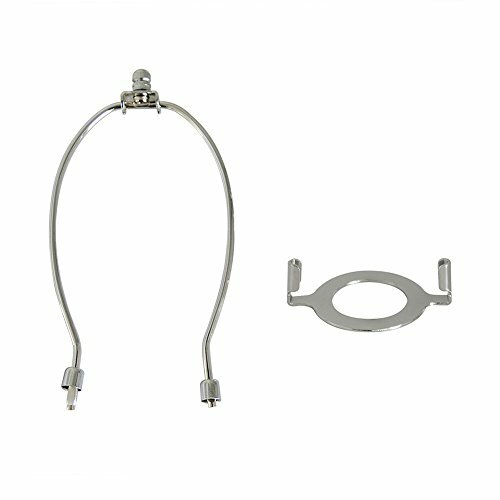 When mounted underneath, a superior look and performance is achieved for Shallow Drum hanging fixtures. 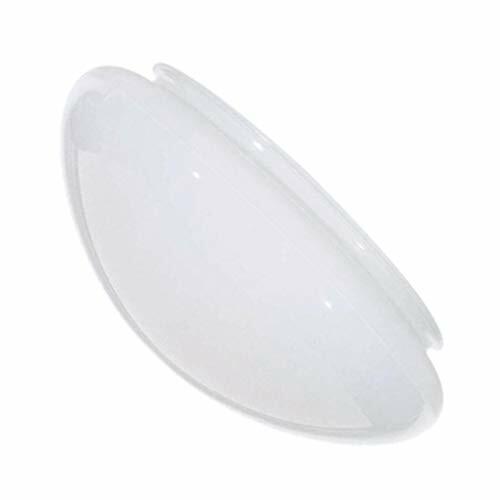 Made of pure white acrylic material with a slip 1/4-27 and 1/8IP center hole. 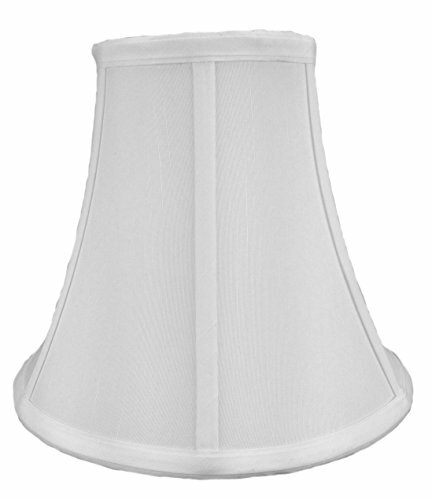 Translucent Diffuser - for mounting on top of the shade or in the case of hanging lamp shades both the top and bottom of Drum style lamp shades. Urbanest Classic Handmade Linen French Drum Lamp Shades. Measurements: 10 at the top; 12 base; 8.5 on the slant. PREKIAR 3D Moon Light use warm multi-color design with a comfortable light and full with mysterious and romantics, use the remote control can change the brightness and color of the light, which recovery the moon's reality texture. Welcome to our store to select your lovely products. Note: 1.Please charge the moon light through the PC usb port (DC5V, 0.5A) for a longer service life. 2.The product does not have waterproof ability, is not resistant to strong acid and alkali. 3.As a decorative light for a better working, the moonlight can't be thrown like a toy. 1*Remote control One-year assurance. 100% refund when you recieved the unsatisfied product within 30 days. Please communicate with us if you have any suggestions about the product, we will solve the problem for you 7*24 hours.  3D Print&Saft The moonlight lamp with its diameter 5.9 in/15cm and is 100% made up by 3D print in order to recovery the moon's rear texture; its main material is PLA, the raw material is sufficient and can be regenerated biodegraded, mainly made of corn, cassava, etc. The production process is pollution-free to realizes circulation in nature, which is non-toxic and harmless to the human body.  Touching control Moon lamp with 16 color RGB, and the 16 colors can flash or fade or strobe or smooth. Use the remote control to change the color and brightness of the lamp and also to turn on or turn off the light,which only working effectively within 10FT without obstacles.  Charging Moon Light with the rechargeable battery 500mAH, full charged for 1-2 hours can work 8 hours or long with USB-DC2.5 interface charging, laptop/mobile power/adapter can be easily linked to charge.  Best Gift 3D Print Moon Light is a perfect romantic and mysterious gift for girls, boys, women, children, mother, dad or lover, a very valuable gift for her or his birthday/valentine. Ideal for bedroom, desk, office, dinning room and cafe decoration. The luminous moonlight will create a wonderful comfortable environment that exceeds your expectation.  Best service guarantee The product has FCC/ROHS certification. 24*365 hour customer service, 12 months warranty and 30-days money back gaurantee. Please contact us if you have any questions about the product. Good for modern lighting fixtures and contemporary home decor styling. Set a dramatic tone with this handsome Woodwork Diamonds patterned lamp shade. The shade is printed giclee style and is custom made-to-order. 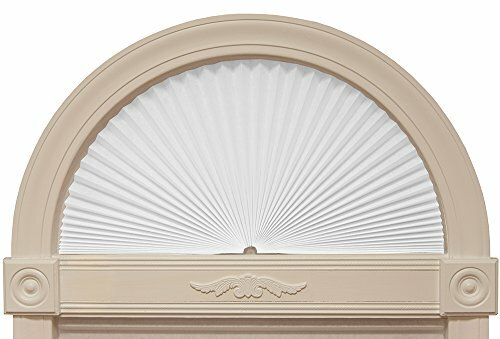 The correct size harp and matching finial are included free with this shade. Chrome finish spider fitter. Drum shape shade. Shade printing process U.S. Patent # 7,347,593. 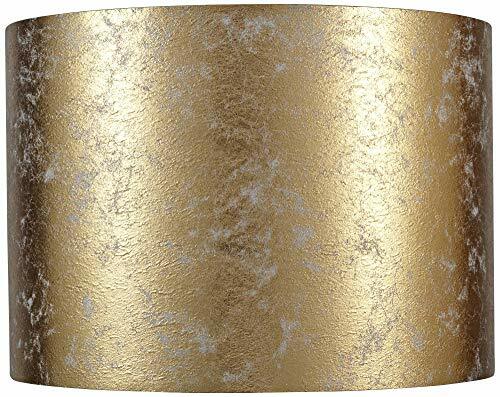 A drum lamp shade in metallic gold paper is a dramatic addition to any side table or nightstand. From Springcrest Collection , the shade boasts a clean, crisp silhouette with a touch of an aged look in its multi-tonal coloration. 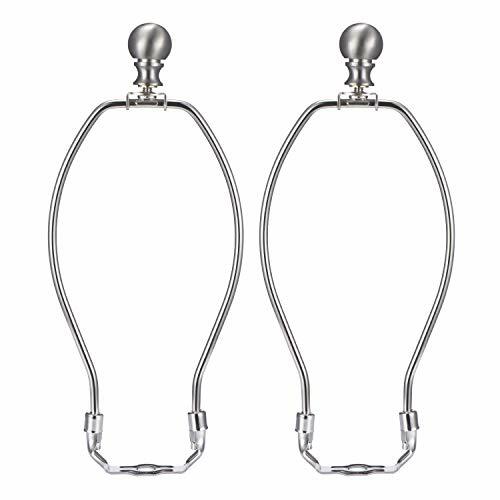 Beautiful in a refined home office or complementing a rich family space. 14" across the top x 14" across the bottom x 10" high overall. Drum lamp shade from Springcrest Collection . Paper material. Metallic gold color.